Two years ago, we were at shows across the country looking for a new bloodline and kept coming back to the Victor’s Vaccoyo line. His crias are knockouts sweeping the east coast shows and auctions. One of his cria is the dam of a girl recently auctioned for $135,000. 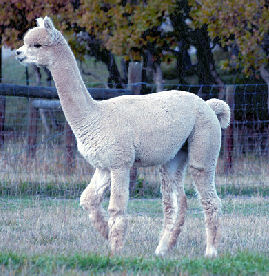 We imported Adrenalin from Canada because he carries the Victor signature fleece - deeply crimped and consistent - has perfect conformation, and a show record that includes 2 Reserve Grand Champions (an international designation that means Reserve "Best of Show"), and firsts in halter, shorn, and composite. He also won the Canadian classes of "Best Head" and "Best of Age," (Canadian award for all male crias of the same age in the show). 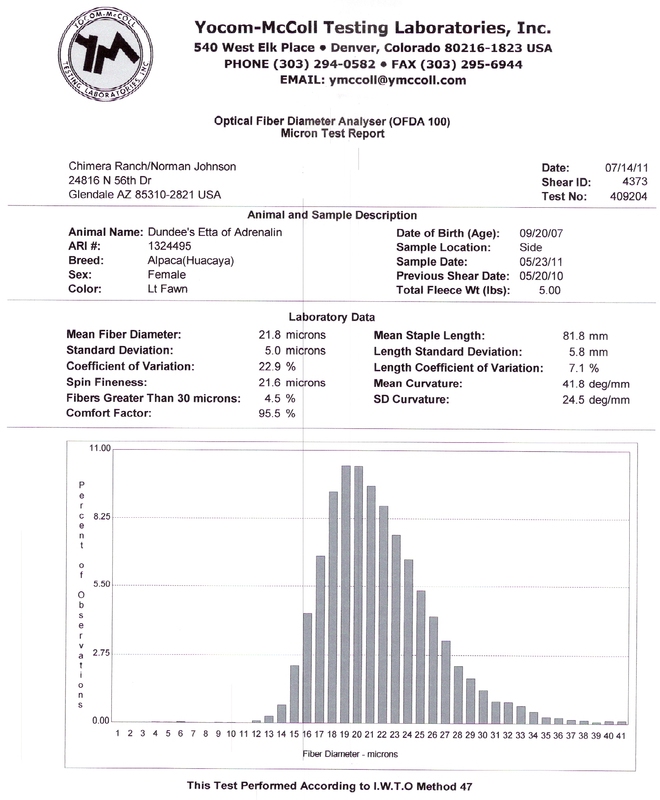 His proven genetics and pedigree (Full Peruvian, 1/2 Accoyo, 1/2 Alianza) are just what we were looking for. 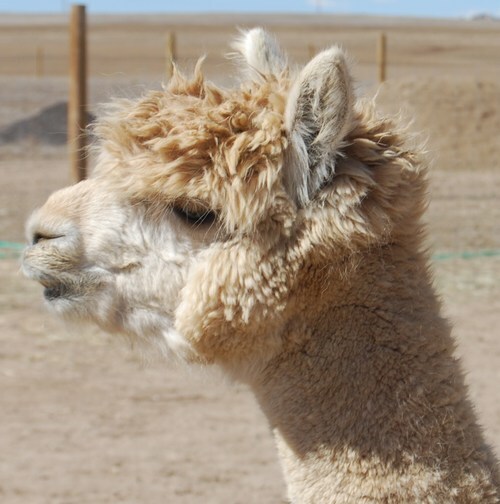 The Alianza herd is noted for fine, consistent fleece and this is a great mix with the Accoyo lines know for density. Another important fact is that Adrenalin's sire, Vaccoyo, has crias in all 22 colors. Adrenalin has dark pigment around his eyes, on his gums, and toenails. Like his sire, he brings his crimpy, soft fleece to his crias often letting the dam's color through. Adrenalin's first babies are on the ground and they are SPECTACULAR ! Deep crimp from head to toe, down the legs and to the tip of the tail. Our customers are coming back for more and we even have "dibs" on the next male cria...isn't that good news! NEWS FLASH: ADRENALIN TAKES GET OF SIRE OVER TWO OUTSTANDING WHITE MALES!!! Mid-America 2008. Judges say it was an easy selection. ADRENALIN TAKES HIS 2ND GET OF SIRE AT ABR FALL FESTIVAL 2008. 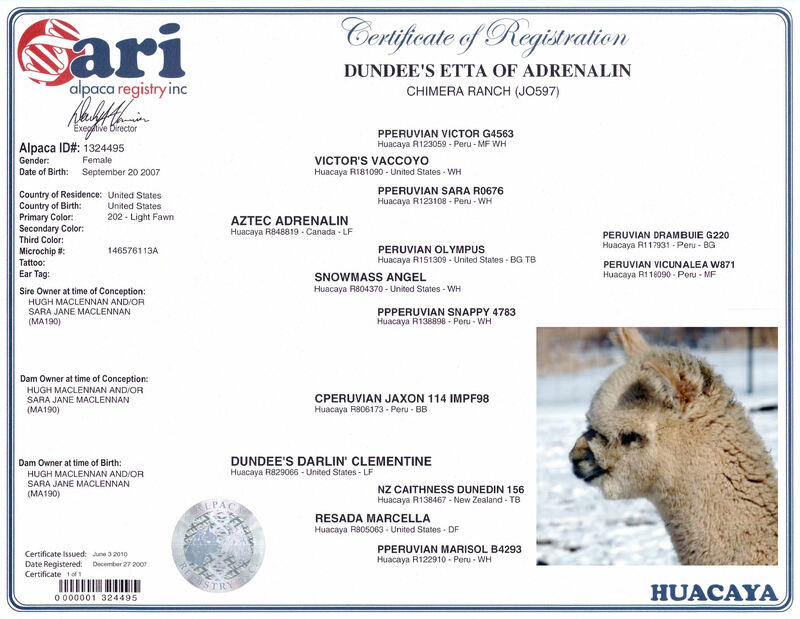 MORE NEWS: Adrenalin's first cria at Dundee Farm, Ace, recieved a Reserve Color Championship. Dundee's Timbuktu of Adrenalin received Reserve Color Champion at 09 Great Western out of 66, and Dundee's Olivia of Adrenalin took a Reserve Color Champion. Clemmie is a Reserve Color Champion, multiple blue ribbon winner and placed first in her Bred and Owned class. 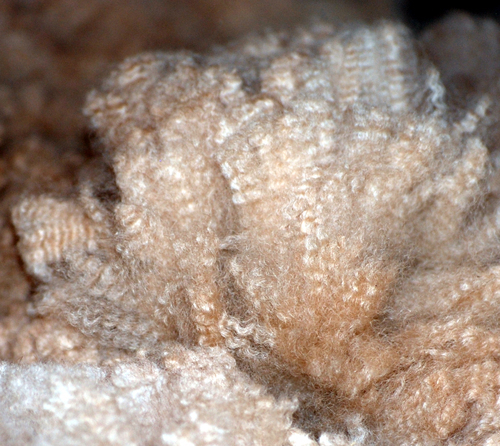 Her fleece tested 19.6 microns at 3 years of age. Clemmie has a classic look and great style. She has a solid structure and bone as well as great eye appeal. Her first cria, Holly Hawk, is a Color Champion and her second daughter, Iris, is a two time Reserve Color Champion, Clemmie's 06 cria, Ace, was a ribbon winner at the Great Western and placed second in a tough class at ABR Fall Festival. Ace won Reserve Color Champion at the A OK Blastoff. This makes all of Clementine's crias champions. Clemmie's latest, Etta of Adrenalin, has both phenominal pheno-type and fleece. Everyone notices her. 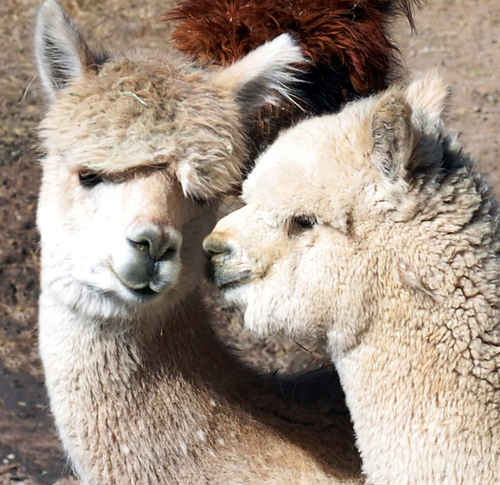 This successful pairing of Clemmie and Adrenalin was repeated for an October 2008 cria. Just one look tells you that this daughter of champions is a solid, stunning young female. She is structurally solid, perfect bite, proportions, dense bones, and straight legs. When you put your hands in her light fawn fleece you have to admire its length and the palpable architecture throughout. What your hands really appreciate is the fineness and the consistency of fineness throughout. When you consider her heritage, one could assume that such wonderful traits should not be uncommon. Her mother Clementine is an eye catching, robust female, who not only was a Reserve Champion, but also Best Bred and Owned. 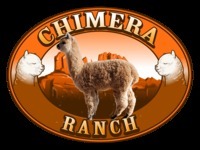 Her sire is none other than Aztec Adrenalin, who is a multiple champion, a two time Get of Sire, and proving to be a very predictable breeder of quality producing 3 champions out of 5 crias. 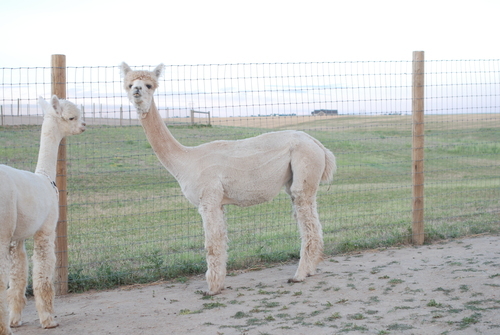 Her Great Grand Grandmother PPPeruvian Snappy, is one of the best females in Canada and her great grandfather, PPeruvian Victor has graced many progeny with his signature fleece structure.